Award-winning creative studio Onesize, the internationally-focused, Amsterdam-based agency for distinctive design in motion, continues its strong dive into the US market with its latest project for FX Networks. 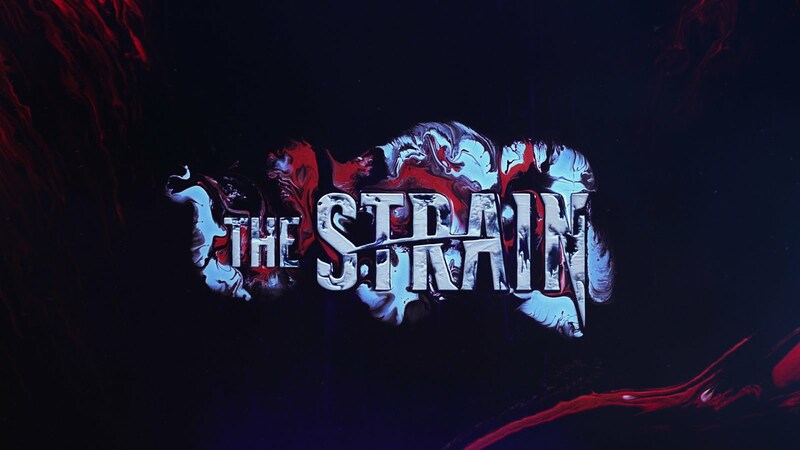 The final season of hit TV show The Strain premiered last night (16 July), featuring a visual identity by the creative digital minds at Onesize, in collaboration with artist Susi Sie. After creating the teaser promo for cult US show American Horror Story 6, Onesize was the logical choice to take part in – and subsequently win – the pitch on FX-series The Strain’s fourth and final season, directed by the critically-acclaimed Guillermo del Toro. Inspired by the series’ storyline – in which a vampire virus infects the human race – the creatives chose the theme of blood to visually recreate the nightmarish world of The Strain. Inspiration was found in surreal paintings and graphic novel-style artwork, combining objects and liquids, and the team set to work in the studio to work on digital paint-mapping effects. Their search for the perfect footage of moving fluids brought them to Berlin-based artist Susi Sie whom they approached to collaborate on live action footage of fluids. Two colours formed the basis of the visual identity, with white representing the vampire blood and red for humans. The footage was crafted and then turned into an episodic package, which includes promos, teasers, count downs, in the show itself in between breaks, both online and for TV. "We love taking the creative lead – but we strongly believe in working collaboratively with clients, artists, and wherever the creative brief takes us. We can take a project right through from concept to final rendering, covering art direction, design, direction, visual effects, editing, (post) production. This approach works, as validated by the fact that our last promo campaign for American Horror story won 8 awards – including six golds – at the PromaxBDA awards.” Kasper Verweij, Creative Director, Designer & Partner at Onesize.